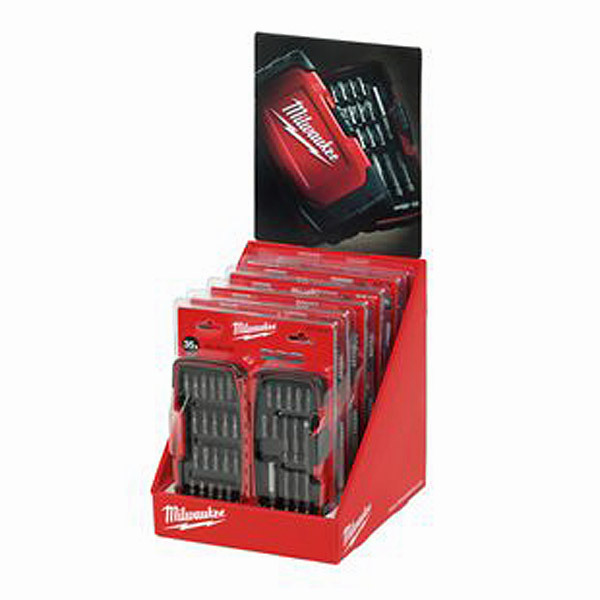 This 35 piece trade set offers a range of components compatible with other Milwaukee tools. The high quality screwdriving bits boast a hardness of 60 HRC and one quarter inch hex reception. The 25mm bits are manufactured according to DIN 3126 - C 6.3 while 50 mm bits are manufactured according to DIN 3126 - E 6.3.